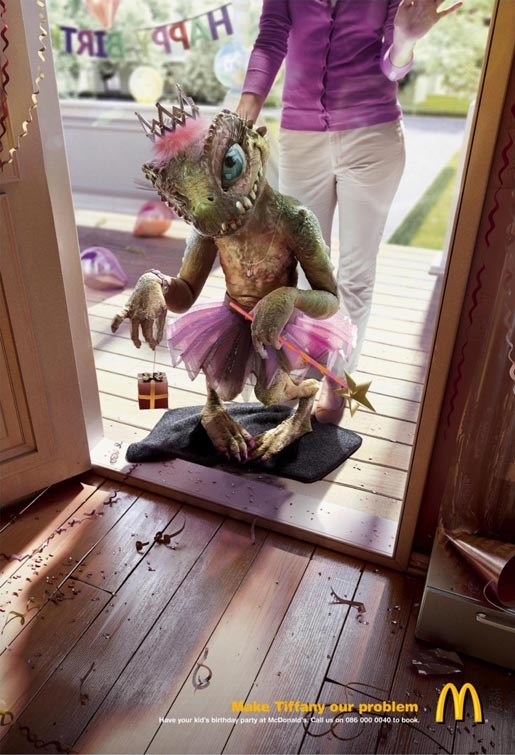 McDonald’s in South Africa ran a print advertising campaign featuring children as monsters at the front door, promoting the restaurant chain’s kids parties service. McDonald’s restaurants were experiencing a drop in kids’ party bookings across South Africa. DDB South Africa, who won a Gold Press Lion at Cannes International Festival of Creativity for the campaign, explains some of their thinking behind Tiffany, Theodore and Billy. 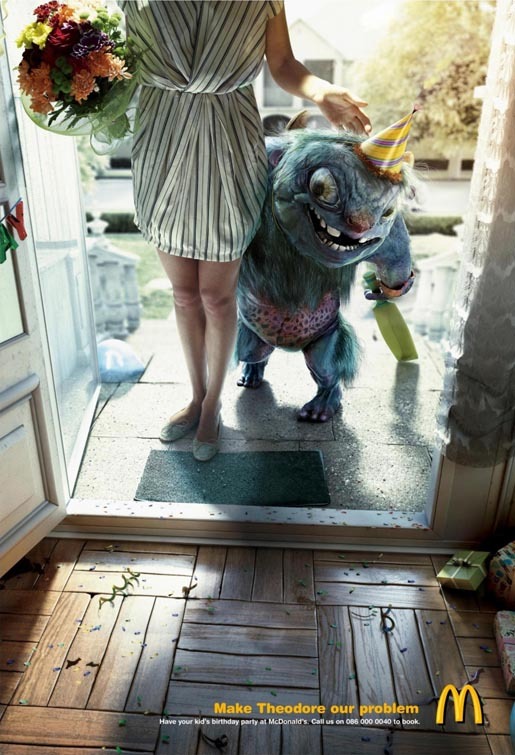 “We all know that kids can be little monsters, especially other people’s kids. Parents always think that their kids are the best. So why have them wreaking havoc in your home when you could have your child’s birthday party at McDonald’s? And have peace of mind.” “Make Tiffany our problem. Have your kid’s birthday party at McDonald’s”. 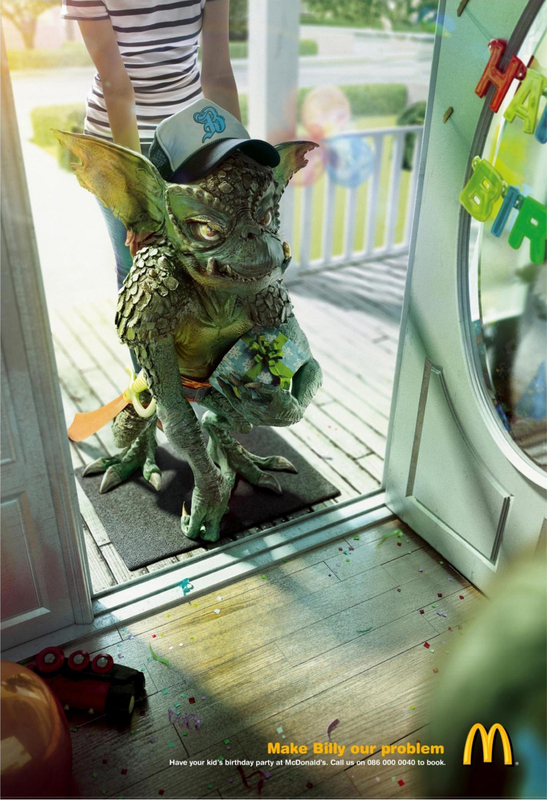 The McDonalds Monsters campaign was developed at DDB South Africa, Johannesburg, by executive creative director Grant Jacobsen, copywriter Andre Vrdoljak, art director Hital Pandya, account manager Tsitsi Dhlamini, typographer Hital Pandya, with photography and illustration by Carioca.